What Is Habitarium Feng Shui? Feng Shui is the ancient Shenkuu art of arrangement to create harmony in your environment. When applied to Habitarium arrangement, Feng Shui focuses on the placement of buildings and decorative objects to achieve a Habitarium which is both aesthetically pleasing and gives greater control over the behavior of your P3s. When not following the principles of artistic arrangement, improperly-placed buildings and decorations will disrupt the movement of your P3s, limit access to harvestable resources, make it more difficult to manage the Habitarium, and clutter the ground with unnecessary objects. Habitarium Feng Shui seeks to avoid these problems by using artistic arrangement to create a functional Habitarium which is artistically pleasing to the eye. Storage units---Storage units are very tall; you must be careful to place them where they will not block the view. The most common locations to place storage are along the back-left wall, the back-right wall, or in front of a pond. Some people like to cluster their storage units in a clump, while others like to put them along a straight line. A current popular trend in Storage unit placement is to block them off by surrounding them with Grarrl Teeth, Glowing Embers, and other decorations. This discourages P3s from wasting time and energy traveling back and forth from Storage Units. Remember, since P3s must be directly beside or kitty-corner to a building in order to repair it, you must choose to either provide enough space for a Soldier to permanently guard and repair your Storage Units, or you must move them into an open area for repair any time they begin to decay. There is a wide variety of color choice in storage units, determined by each Habitarium designer’s personal preference; some people like their storage units to be all the same color, while other people prefer more variety of colors. Nests---Nests are the shortest of the five building types, and as such, they do not block the view of the Habitarium behind them. Many people arrange their nests in an ascending straight line (the line rises when looking from left to right) along the front-right wall. It is also possible to place a line of nests along the front-left wall or in another descending line; however, doing so will cover part of the incubation bar of the eggs, make it more difficult to gauge when an egg is ready to be hatched or harvested. Some people like to block off their nests to protect the laying Nesters from predators, but I believe that this is unnecessary, as long as your Nests are well-guarded by Soldiers. When it comes to color, I personally feel that natural and Yellow nests are the most attractive. Houses---Houses are medium-sized in height, and should be carefully placed in a location where they do not block or clutter the visual landscape. Most people arrange their houses in a straight descending line along the front-left or back-right wall. If possible, avoid lining your houses up in an ascending line, as this will block the view of the houses’ doors. Because only a small portion of each House is changed when adding an ink color, you can use a mixture of different ink colors to add some variation and individuality to your Habitarium without making it look gaudy. Hospitals--- Hospitals are medium-sized in height, and as with the other taller buildings, avoid placing the Hospital in front of a visually-busy area. I personally dislike the appearance of the Hospital and do not include one in my Habitarium, but most other people keep at least one or two in their Habitariums because of their usefulness. If you have more than one Hospital, they should all be the same color, unless you use the different colored hospitals to organize different types of P3s. Barracks--- In my opinion, the Barracks is the most aesthetically pleasing of all the building types, since the natural stone and moss adds a natural, rugged atmosphere to the Habitarium. For this reason, I believe in leaving Barracks in their natural, uninked state. The Barracks can be located anywhere in the Habitarium, but placing it in an open, uncluttered area allows you to add visual interest to an otherwise boring spot. Large decorations--- Just as with Storage, large decorations must be carefully arranged so they do not block the view. Fortunately, because decorations can be placed in water, you can take advantage of the space offered by open bodies of water. Place large decorations such as the Lovely Gazebo, Treasure Chest, Ancient Monument, and Rainbow Spring directly in or above ponds, where they can be easily seen without blocking large patches of space that are needed by your P3s. Medium and small decorations---Smaller objects are very useful to add visual interest to empty areas in your Habitarium. Decorations such as Glowing Embers and Mossy Twigs are excellent because they are short and P3s can easily be seen even when they stand right behind them; taller objects such as Grarrl Teeth and Twig Fences should be put where P3s don’t venture very often. One way to discover what areas need more decoration is to place all of your P3s in Houses, Barracks, or Hospitals. Without the distraction of dozens of P3s moving about in your Habitarium, it is easy to see where there are empty, open spaces which need your attention. Placement of decorations near resources--- Placement of decorative object near natural resources is usually not an issue, as long as the decorations do not block P3s from accessing that resource. However, take special consideration when placing things behind trees and flowers. Because they are very tall and block the visibility, avoid placing objects behind flowers and trees whenever possible. To fence or not to fence--- Fencing your Habitarium into sections gives certain advantages when it comes to pest control. If your Habitarium is divided into several large sections, with 1-3 Soldiers in each (depending on the size of the section), you can ensure that each area remains well guarded throughout the day. If Soldiers are free to roam throughout the entire Habitarium, they often have a tendency to leave certain areas of your Habitarium unguarded, leaving them vulnerable to pest invasions. Another reason for fencing the Habitarium is to improve the reaction time for Soldiers. When confined to a single section of the Habitarium, a soldier will only have a short distance to travel to reach an attacking pest; this means that they will spend less time walking and more time attacking, killing pests quicker. However, there are also disadvantages to fencing your Habitarium into sections. Because they are confined to a single area, a Soldier which has just defeated all the pests in its assigned area will be unable to assist Soldiers in different areas, which may make it more difficult when a large influx of pests in a single area occurs. You can compensate for this by assigning the number of soldiers to each area based upon the amount of open landmass that must be patrolled. 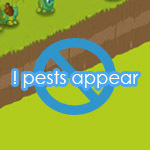 Pay careful attention to the amount of pests that appear in each area—if you notice that one area consistently gets more pests than another, you may want to reassign soldiers from less contested areas. How to arrange decorations to create a fence--- To fence off a portion of your Habitarium, arrange decorative objects in a line. P3s are unable to cross two barriers which meet at the corners, reducing the amount of objects needed to create a fence. If you suspect you may have a gap in your fence somewhere, you can test its security by arranging one species of P3 on one side of the fence, and a different species on the other; if you find a P3 in the wrong section, you will know that there is an open spot. Choosing fencing materials--- You do not have to limit yourself to Twig Fences and Pine Cone Shard Fences; Seedpods and other decorations make good barriers too. Some decorations, such as Mossy Twigs and Twig Fences can be laid end-to-end in a perfectly straight line, while other items look best individually, like the Large Mossy Twig, which does not line up evenly when laid end-to-end. Using the land--- When looking to fence off an area, take advantage of the landscape and resources found in your Habitarium. You can use these natural barriers as the foundation for dividing it off into sections. Take advantage of natural bottlenecks near ponds, where the distance between the pond and the edge of your Habitarium is small. Harvestable resources are wonderful in fence construction, since they are impassible by both P3s and pests. When laying down parts of decorations for a fence, be careful not to block off access to natural resources on either side. Carefully incorporated as part of the fence, a natural resource like wood, stone, grass, or pollen can be harvested by P3s on both sides of the fence. Using resources as part of your fencing also reduces the amount of clutter in your Habitarium. Remember, the essence of Habitarium Feng Shui is to create harmony and balance within your Habitarium. Just like any artistic creation, you must put time and effort into making your Habitarium as aesthetically pleasing as possible. Simple actions, such as removing unnecessary decorations or relocating them to better locations, will have a dramatic effect on the overall appearance of your Habitarium. The Habitarium is a reflection of your artistic style; you must experiment with coloration of buildings and placement of objects to achieve a Habitarium that satisfies you. I wish you the best of luck in your Habitarium arrangement! Ever wondered why you never catch anything good while fishing?